Emma was one of six winners of Special Distinctions in the 2017 edition of our high school art contest. View the rest of the entries, then check out the Winners' Gallery, complete with written descriptions by the artists themselves! Thursday, Nov. 9, 6:00-7:30 pm, Oak Bluffs. Learn how to preserve your harvest of veggies by making your own fermented pickles at this FREE workshop. Hosted by chef Maeve McAuliffe at the Oak Bluffs Library; for more info call (508) 693-9433. Saturday, Nov. 11, 10:00 am, West Tisbury. Join Polly Hill Arboretum staff for a guided tour of fall foliage, as well as the beauty found in plants’ form, habit, fruit, and bark. 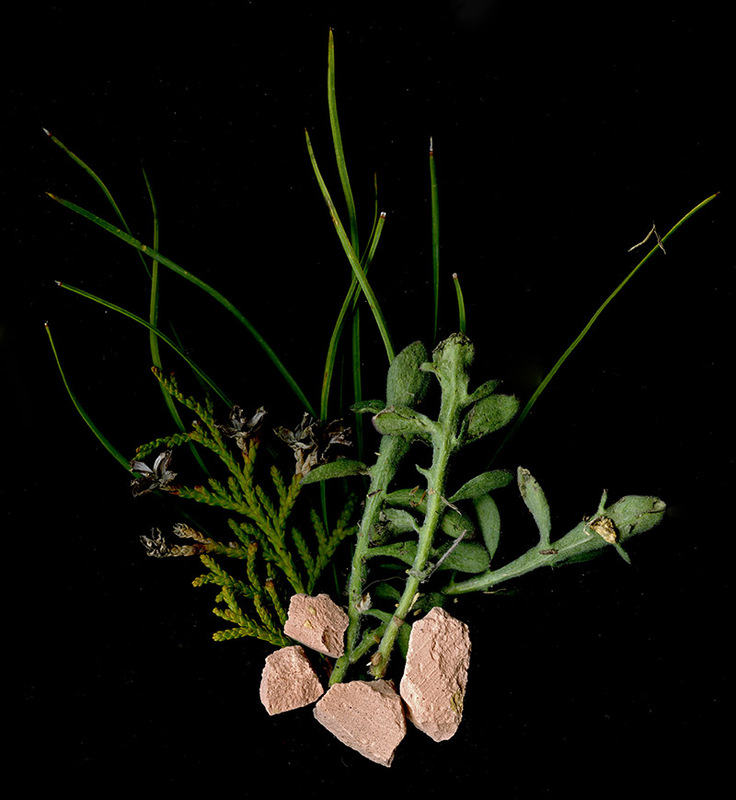 Admission to the arboretum is $5 (free for members). Meet for the tour at the Visitor Center and dress for the weather. More info at website. Friday, Nov. 24, 11:00 am - 3:00 pm, Edgartown. 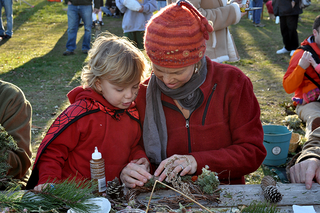 Now in its 37th year, the after-Thanksgiving Fall Festival at Felix Neck Wildlife Sanctuary has become an annual tradition. Join friends for hayrides, face painting, wreath making, crafts for kids, and live music by The Flying Elbows. $9 ($6 for members); for more info see website. Volunteers are always needed for the festival, if interested please email or call (508) 627-4850. 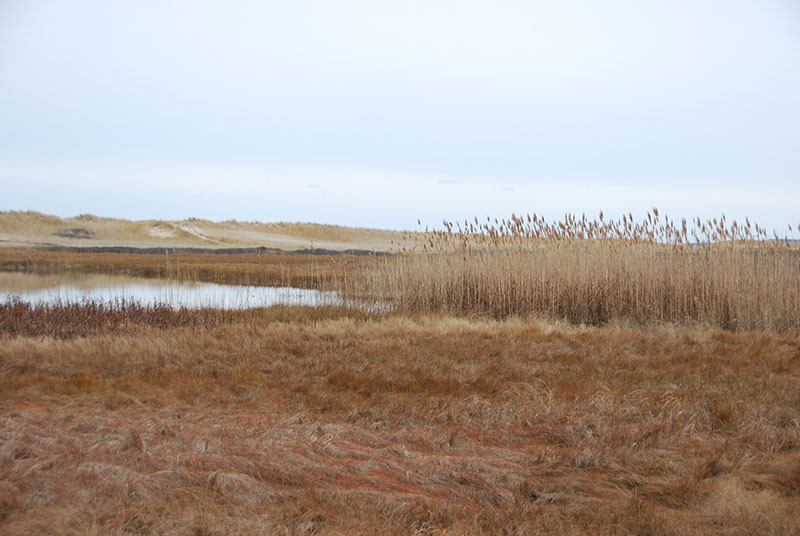 The 2017-18 Winter Walks series kicks off Sunday, November 19 with a morning walk through the landscape surrounding Quenames Cove and Black Point Pond. The walk will begin at 10 am at Quenames farm, and be led by naturalist and birder Soo Whiting, whose family has continuously occupied the farm for more than 200 years. The walk will visit Quenames Cove, Little Black Point and Black Point Pond. Be sure to wear solid shoes and dress appropriately, and don't forget binoculars if you wish to view our feathered friends. From Alley’s Store, drive up-Island about 1 mile. Turn left at VCS signs at Blue Barque Road and follow the signs and flags. Parking will be at the farm. 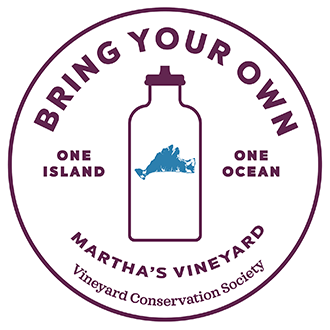 Take Back the Tap, Martha's Vineyard! 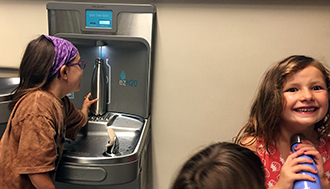 Did you know that the average American uses 167 single-use water bottles per year? 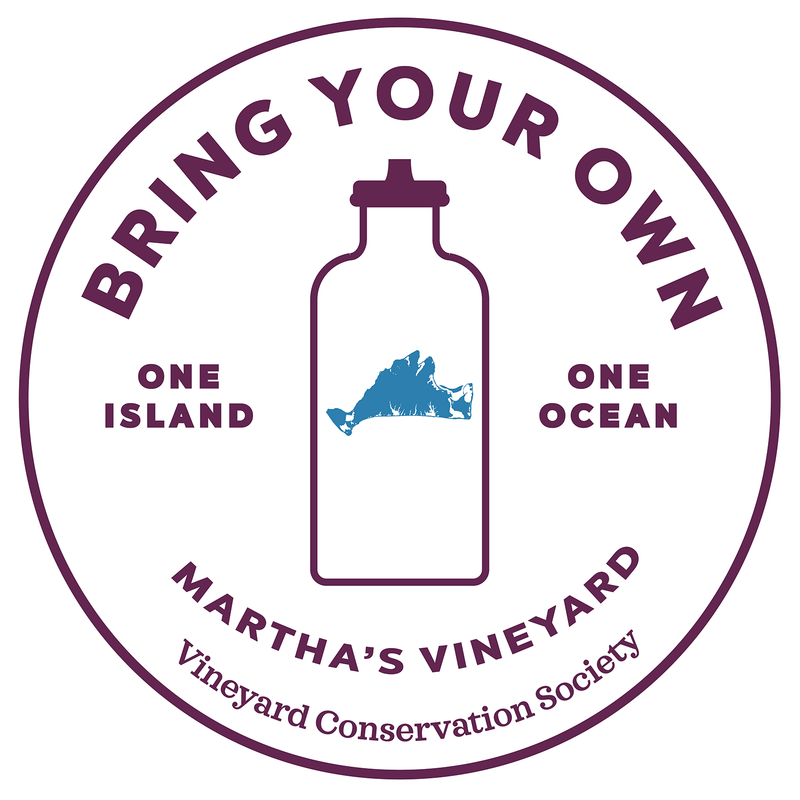 By any measure of population you choose, for Martha’s Vineyard that works out to millions of disposable plastic bottles every year. Of course, many of these get recycled . . . but many don't. Some depart Oak Bluffs and Tisbury for landfills off-Island, while others find their way to the Covanta incinerator in Rochester, Mass. We also know quite a few end up as litter on beaches, trails, and roadsides, eventually degrading to microscopic bits of plastic in our streams, ponds, and ocean. It's time to do something about all of that waste! 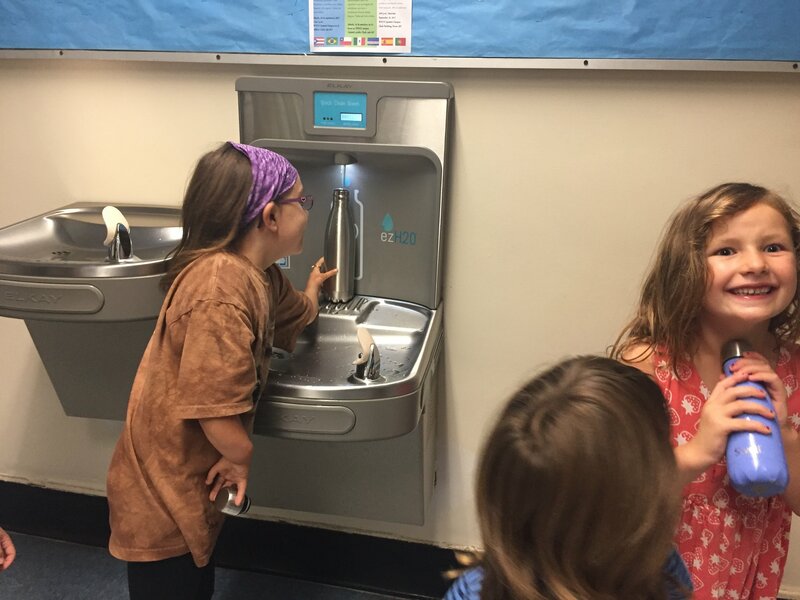 Following on this year's initiative to install water bottle refill stations at the schools and other places vital to our kids, VCS is now encouraging the six Towns to step up to the plate. We are asking each Town to place at least one unit in a high-traffic public space. 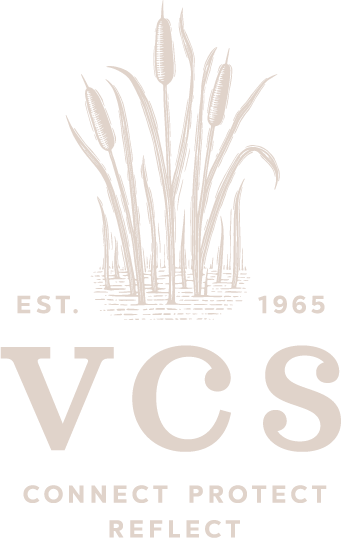 And of course, VCS members and friends, we ask for your help in the efforts to “Take Back the Tap” this year!